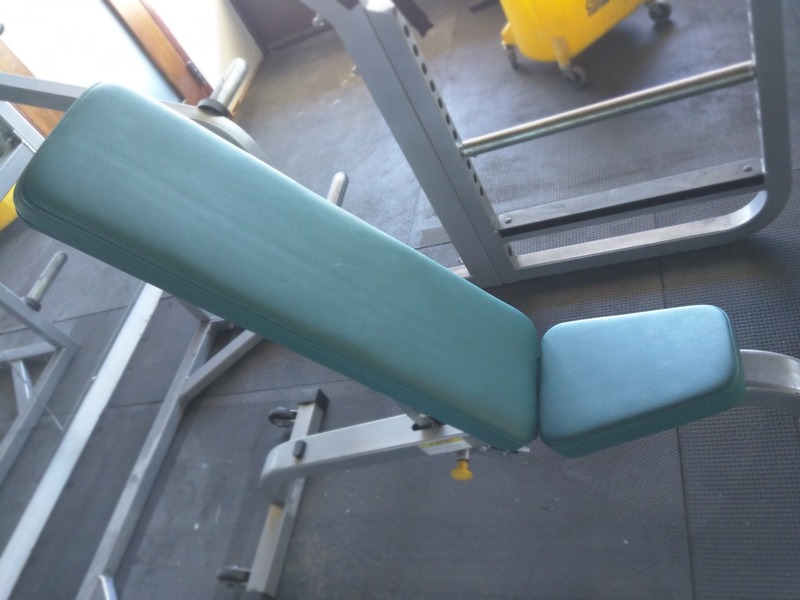 We’re always eager to partner with startups to get their fitness equipment reupholstered. 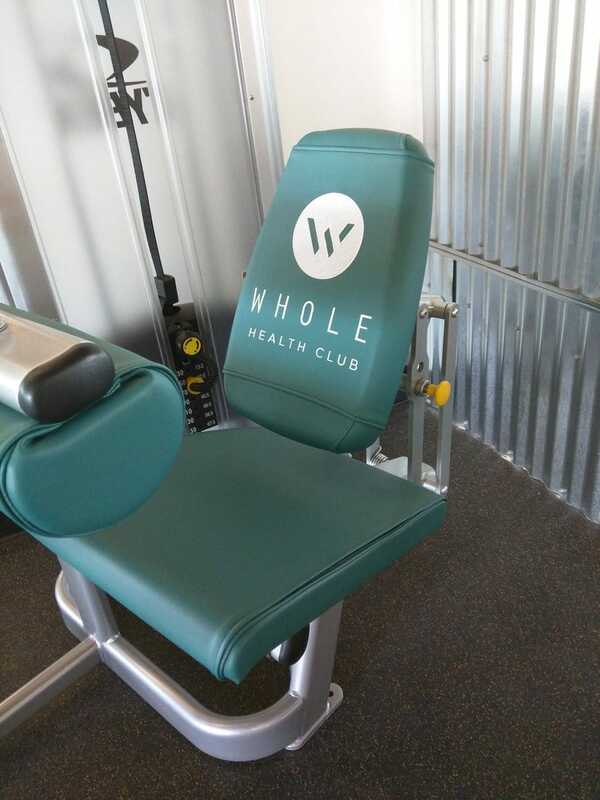 At Whole Health Club, we worked with one of the founders, Chase, to match their club’s colors and to get their logo embroidered onto several wear covers. 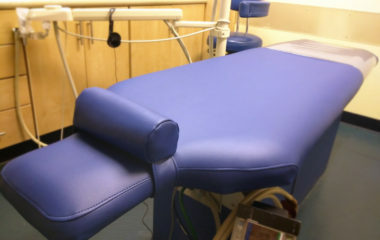 When completed, the pads on their fitness equipment look vibrant. And the embroidery adds the professional touch that makes them really stand apart. Chase contacted us at the beginning of the remodel of their new space. 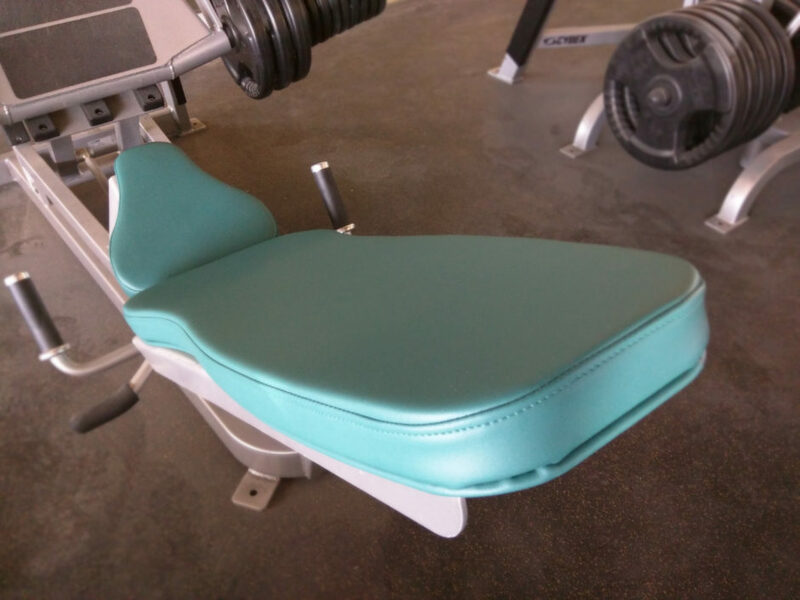 We took the time to review many color and material options to find just the right match for their new fitness equipment covers. 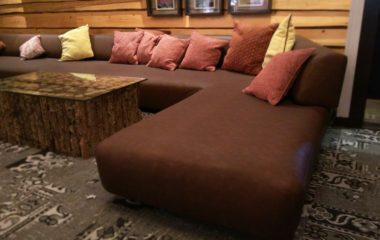 Ultimately the material selected was the high durability BoltaSport Olympus, in Grotto, which was available locally and which we provide special pricing on. We have an agreement with our distributor so we can provide a material, BoltaSport Olympus, which is four times more durable than the industry standard, at a cost of nearly one-third less than the cost of the industry standard material. While we were working on the selection process I worked directly with my embroiderer to get Whole Health Club’s logo digitized. We scheduled for a time that was convenient for Whole Health Club. 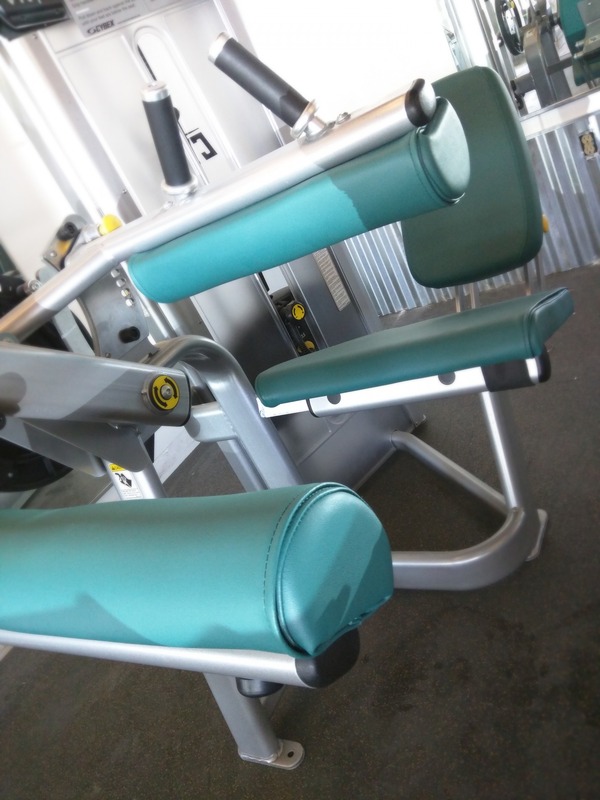 Each piece was professionally removed from their fitness equipment, patterned, sewn, and reinstalled. 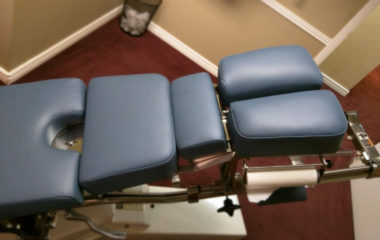 All the work was done right on-site! We completed the new covers in one, approximately 8-hour, visit. Unfortunately there were some delays with the embroidery process. 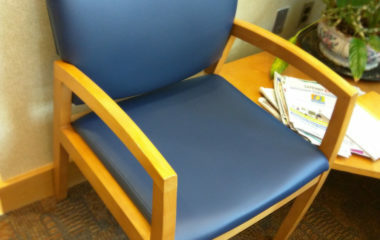 However, we came back as soon as we were able to get the embroidered wear covers installed. Even with the delays, everything was completed a few days before the club’s grand opening.